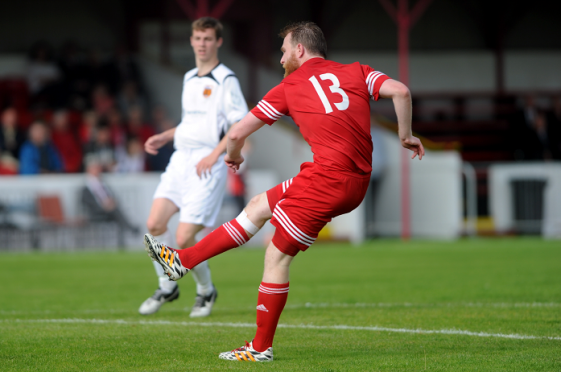 Dale Gillespie has returned to Brora Rangers. Gillespie last night finalised his return to Dudgeon Park just 12 months after leaving for the Speysiders, having previously enjoyed a five-year spell with the Sutherland outfit. The 29-year-old says the opportunity to link up with long-time former team-mate Mackay, who took over as Brora boss from Ross Tokely earlier this summer, was the decisive factor. Gillespie said: “I’m looking forward to getting back playing again. I’ve been trying to get it sorted since the start of pre-season, since Steven has taken over as manager. “That was the main attraction to go back. I have played with him for about 10 years now, since I went on loan to Elgin City from Caley Thistle at the age of 18. That was the first time I had met him, but I’ve played with him basically since then at both Nairn County and Brora. “I saw them on Saturday in their 2-0 win against Forres Mechanics, and they looked very fit and sharp as you would expect from Steven. At his age he keeps himself in great condition. Gillespie, who twice won the Highland League title during his previous spell with Brora, is confident he can hit the ground running, adding: “The majority of the players are the same, so it’s quite an easy decision to go back. There’s not the usual thing having to settle into a new team, with knowing everyone so well. Hopefully that will be beneficial.